Hublot is a Swiss luxury watchmaker which creates a variety of watches with different styles and functions that any watch enthusiast will love. With Big Apple Buddy’s personal shopping service, you can now buy direct from the USA Hublot online store anytime, anywhere. 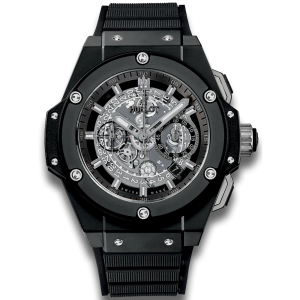 The Hublot Unico Black Magic Watch, like the other watches of the Unico Movement, took no less than 4 years to develop and consists of 330 individually hand-assembled components that make up the watch’s refined and distinguished movements. This all black watch embodies the power and class that all Hublot watches have and will add some extra flair to any look. With a sapphire dial and sapphire anti-reflective treatment, you can be sure that your watch will be sturdy and protected while still adding an air of refinement to your outfit. 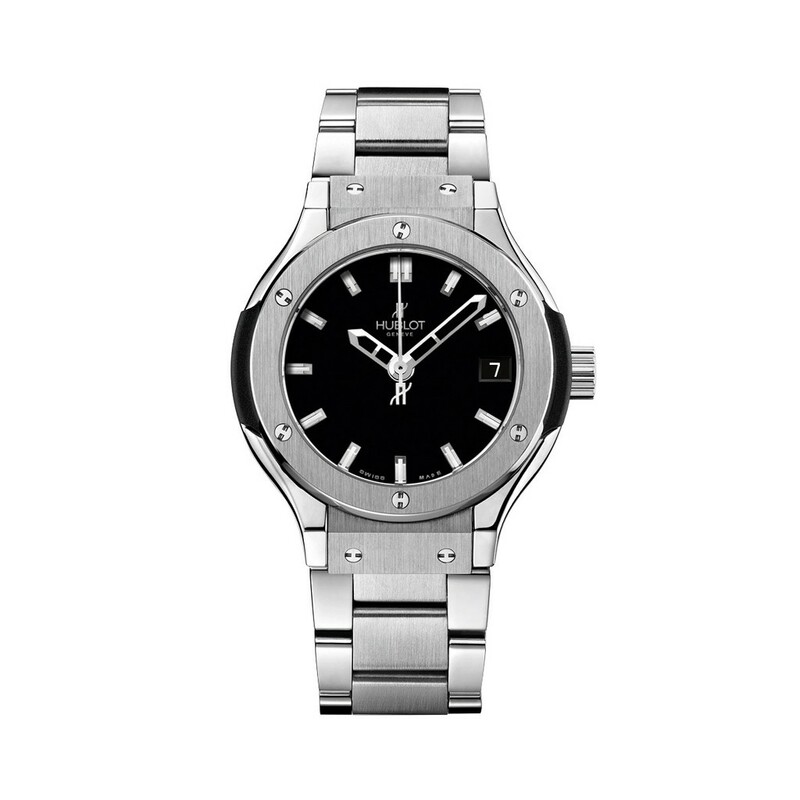 If you’re going for a more classic look, then the Hublot Classic Fusion Titanium Bracelet is a great choice. This watch was created with painstaking perfection and entirely assembled by hand, so you can be confident that it was made well and will last you as long as you need it to. With a satin-finished and polished titanium bracelet, this watch has a timeless and classy look that will always be in style and make you look professional and refined. You can’t go wrong with this classic look from Hublot, and it will be an instant new favorite to your collection! 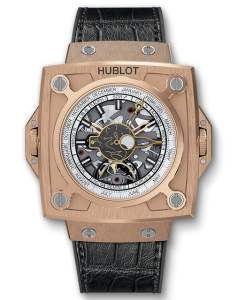 If you’re looking for a highly technical watch that will wow people once they lay eyes on it, look no further than the Hublot MP-08 Antikythera Sunmoon King Gold. You can be sure that you’ve never seen anything quite like this watch before, and it will immediately stand out from any other watch you might have owned. In addition to tell you the time, this watch will inform you of the month, date, and even the astrological star sign that aligns with it. The satin-finished gold-plated sun and moon hands add an element of uniqueness to this watch that you won’t find with any other. You can check out other limited edition watches like this one on the Hublot website!